Some players like to switch between two amps, with one being used for their "clean" tone, and a second being used for leads and solos. Some players like the "composite" tone they achieve by combining the sound of multiple amplifiers. 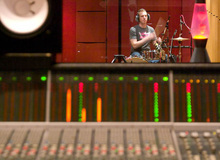 This can be a very useful and effective tool in the studio, and has been used by many famous players. Another very common reason for using two amps is in order to run stereo effects. However, as soon as you split your guitar signal and route it into two or more amplifiers, you're almost certain to run into a noisy problem - namely, hum. This is due to ground loops, which are caused when there is a difference in electrical potential between two or more ground paths. With multi-amp rigs, you have two (or more) amplifiers, each of which must be connected to a grounded AC power outlet with a properly grounded cable. Proper grounding of all the amplifiers is absolutely essential for safety reasons. In the event of an internal failure within one of the amps that results in AC being applied to the amp chassis, that ground path can save your life. For this reason, you should never use a "three pin to two pin" ground lift adapter as a permanent solution for solving ground loop hum issues. While these inexpensive adapters are available at hardware stores everywhere, they are not designed to safely "lift" the ground - in fact, they're designed as converters - allowing you to plug a three prong cable into an old-style (pre 1962) two prong outlet, but when doing so, it's also essential that the adapter's center metal tab is anchored to the center screw of the grounded metal electrical outlet box. 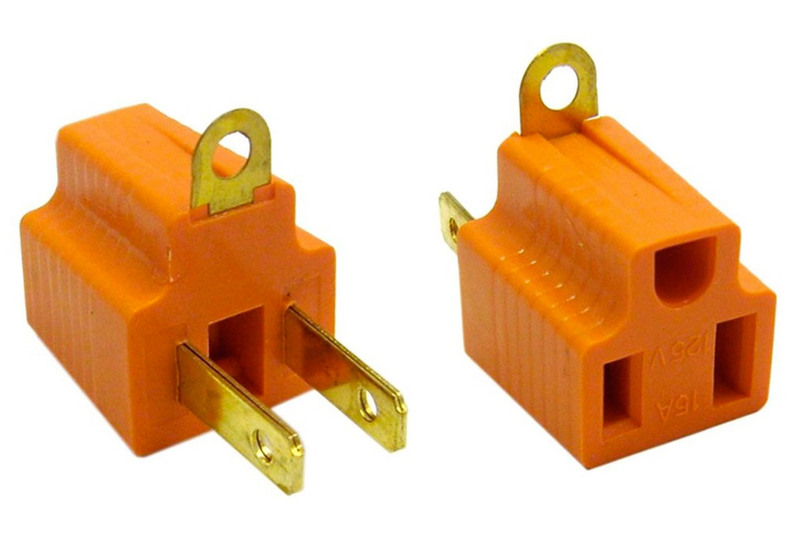 Unfortunately, these adapters are often incorrectly used as "ground lifts" instead, which is extremely unsafe. Before you drive yourself crazy, I normally recommend you check the outlets first. No matter how you connect your gear, it won't make any difference so long as the outlets and the building's electrical wiring have serious issues. If you have a home studio, hiring an electrician for a couple of hours can be well worth the money - not only can they test all your outlets for proper wiring and safe grounding, but they can make sure all electrical connections in the outlets and at the breaker box are tight, which can also reduce noise. Still, you don't have to hire an electrician every time you want to check the basic wiring of an outlet. Inexpensive outlet testers are available at most home improvement and hardware stores for about ten dollars, and they can let you know if the plug is wired correctly or not. If it is not, don't use the outlet until you can have a qualified electrician repair it. If you know the outlets are good, the first thing you can try when you run into a ground loop issue and hear hum is to make sure all your gear is connected to a single power source. Use a multiple-outlet power strip and plug both amps, as well as your wireless receiver and pedalboard power supplies into that. You don't have to plug your fan or stage lights into the same power strip, but if your audio signal passes through the device, it should be plugged into that single strip. While it's important that you don't overload the circuit by trying to power too many things off of a single breaker, having everything plugged into a single circuit definitely will reduce the odds of having problems with ground loops. Using separate electrical circuits, with each amp plugged into a different outlet, circuit, and breaker will nearly guarantee them. Getting everything on the same breaker isn't a guarantee of hum free operation either. Sometimes you may have differences within the amplifiers that create a difference in ground potential, even when both are plugged into the same circuit. This becomes even more likely when you're using two different amplifier brands instead of two amps of the same make and model, but again, even that won't guarantee you noise-free operation. That's where inline isolation transformers can really help. An isolation transformer is a device that uses two coils of insulated wire that are right next to each other, wrapped around a common metal core, but not physically wired together. The signal is transferred between the two coils through electromagnetic inductance. When the signal hits the first coil of wire, it creates a fluctuating magnetic field, which the second coil of wire picks up, and it in turn sends the signal on - all without there being any direct wire connection made between the two coils. It's all done electromagnetically, similar to the way your pickups are able to capture the moving mass of the metal strings. Several companies now make products with 1:1 isolation transformers built-in that will kill the ground loop hum problem quite effectively by eliminating the direct physical connection to one of the amplifiers. The amplifier itself remains safely grounded through its own three prong grounded power cable and plug, so the system remains safe to use. It's important with iso transformer equipped products to make sure you're getting one designed to work with the signal levels you plan on using with it. A device that is designed to be used with studio line-level signals won't work correctly with instrument level signals from your guitar, so make sure you're getting the right thing when you go shopping. 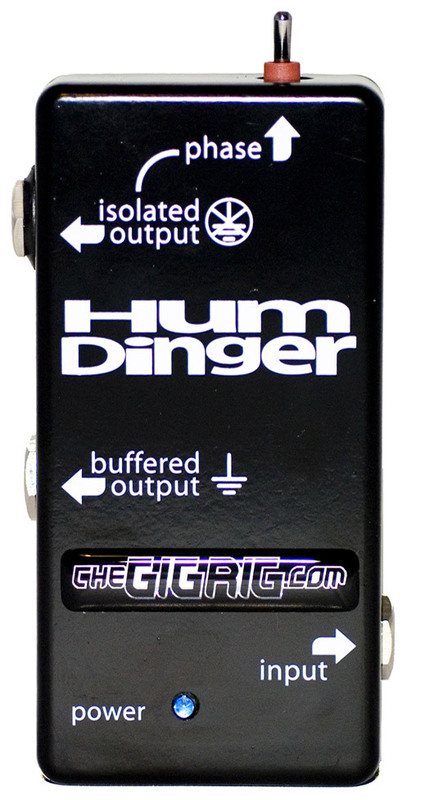 Some examples of guitar friendly isolation transformers include the GigRig HumDinger, Diamond ST-Mix, and Radial Engineering's Bigshot ABY switch. If you are using two amps in stereo, or like to use two different amps simultaneously for the composite sound the two of them create when blended, putting one of these inline so that the transformer "breaks" the path to one of the two amplifiers will eliminate the hum and still keep the amps safely grounded. Are you switching back and forth between two amps for clean and dirty tones? There are purpose built switchers with isolation transformers built-in too. These include the Lehle Little Dual Amp Switcher and Radial Engineering Tonebone JX-2 Pro Switchbone, which both have internal transformer isolation on one of their outputs. 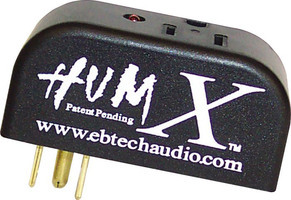 Another interesting product that is specifically designed to deal with ground loop hum is the Ebtech Hum X. While I personally have never used or tested one, according to Ebtech, the Hum X works by filtering low voltage current from the ground line. That means that if you were to briefly use a three to two pin adapter and the noise stops, then using the Hum X should also work - but while maintaining the important power cord ground connection that is so essential for safe operation. This article was originally published on Harmony Central. Reprinted by permission.